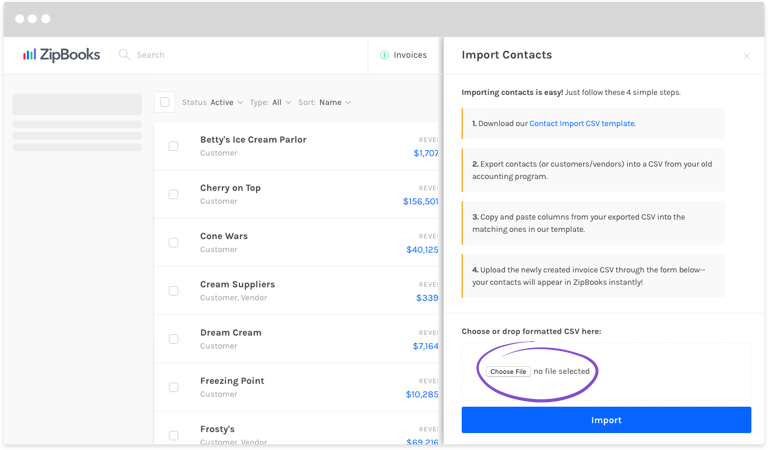 Your contacts are an important part of your business, and we don’t want you to leave them behind with your old accounting software. Sign in to ZipBooks and click on Contacts on the left side of your screen. Click on Import toward the top right corner of the screen. An Import Contacts window will slide in from the right. Click on Contact Import CSV Template to download. In your old accounting software, export your contacts to a CSV (refer to the program’s help section if you can’t find this option). 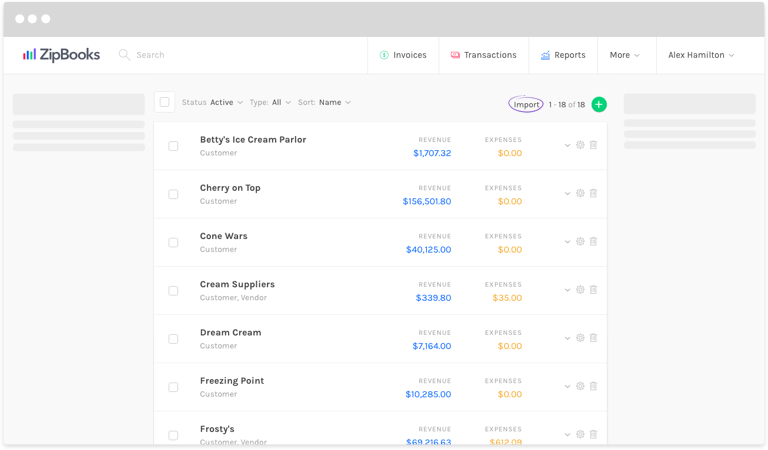 Copy and paste the columns from the exported document into the same columns on the new CSV. Save the new document to your computer. Upload it in the form at the bottom of the Import Contacts window. All done! Now your contacts can come with you wherever you go. FYI: Contacts become “Clients” when they pay you in ZipBooks; they become “Vendors” when you pay them in ZipBooks.